At A1 Mountain Realty our customers have always come first and we aim to please. We can help you with everything from Real Estate In Boone North Carolina to Ashe County Real Estate for sale and everything in between. 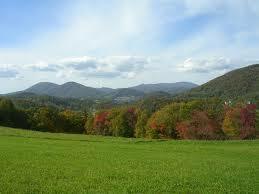 In addition to our residential listings we also have NC mountain farm land for sale and other non-developed properties. Why not move out to an untouched area and built your own dream home? If you&#39;re in love with the area, and are looking for a rustic NC Mountain Home with privacy you should check out our NC Mountain Log Homes for sale. A1 Mountain Realty is conveniently located in the center of the Arts District in downtown West Jefferson. Our location in West Jefferson allows us the best spot in town to give your property great exposure and expand your general knowledge of the downtown area. Working with us gives you the advantage of not only finding great properties, but the opportunity to learn about fun and exciting things this area has to offer. Everyone knows when you purchase a home you purchase the neighborhood as well. Wouldn&#39;t it be better to guarantee your approval of your surroundings before you committed to a place? Despite some difficult economic times, the real estate market in the Western North Carolina Mountains is steadily on the rise. Customer satisfaction is our top priority and we look forward to serving you in the future.